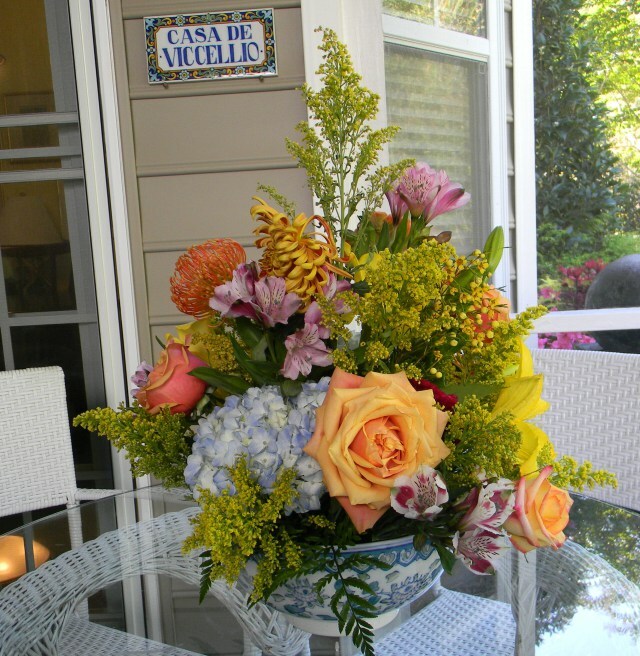 Sharing friend, John Viccellio’s, In a Vase on Monday blog post for reasons you will understand when you read it. A blessed weekend celebration of a marriage. I hope all will forgive me for cheating just a little in this week’s offering for In a Vase on Monday. I will not be displaying anything from my garden this week. This past Saturday my Arranger and I were privileged to attend the wedding of the granddaughter of our dear friend Stepheny Houghtlin in Rocky Mount, NC. We contributed a number of our blue-white containers to the event which held the flower arrangements on the tables at the reception. 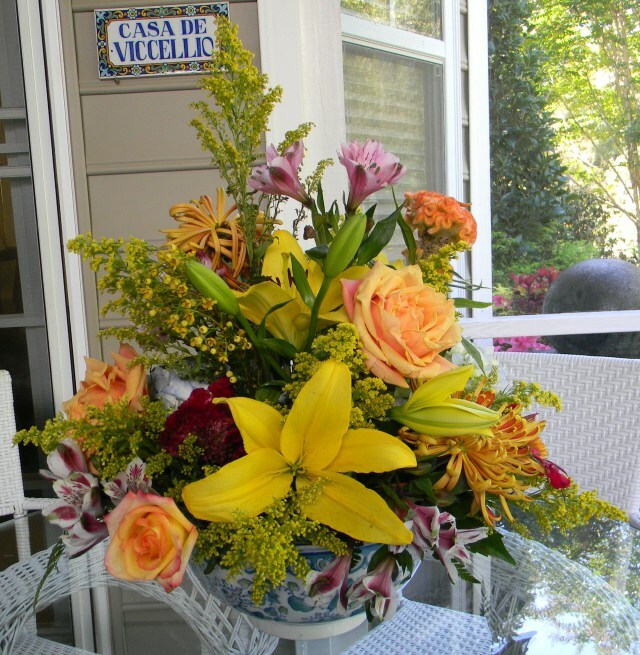 We not only brought home our containers but one of the beautiful and bountiful arrangements as well. Let me share two views of it with you. A central theme of the arrangement are the touches of our native golden rod, which is now blooming everywhere in all its fall glory. Miles and miles of golden rod were seen along our journey.